Your first village is your capital whether you build a residence or palace in it or not. Only after naming another village your capital it will lose this status. 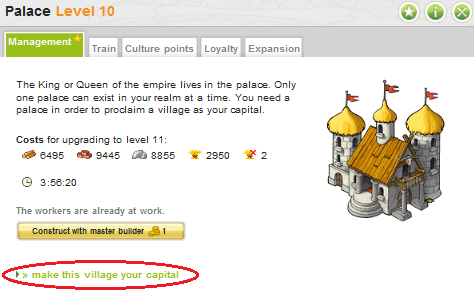 This can be done by building a palace in the village you want to name your new capital and clicking the link “Make this village your capital”. To be able to do so you need a palace level 1 and you have to enter your password to confirm this change. The palace can only be built in one village per account a time. A village containing a wonder of the world cannot be named as capital – you will be able to build a palace in it, but the option to make this village as capital will be greyed out. If you change your capital, the prior capital village will lose all resource field upgrades above level 10 and the stonemason’s lodge will be destroyed. Furthermore the great barracks and great stable will be lost if they are in the new capital village. How do I know which is my enemy’s capital? 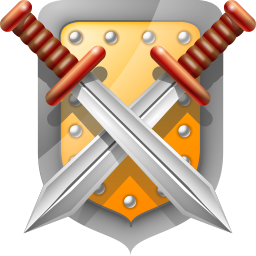 A (capital) tag marks the player’s capital in the player overview.